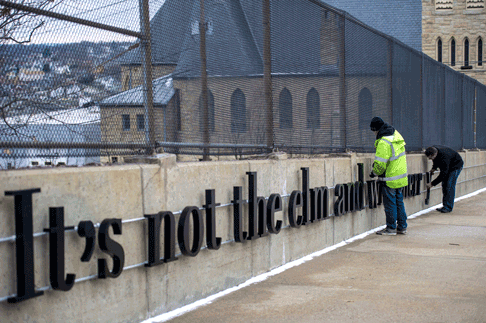 Three dimensional aluminum letters are placed along two sides of the bridge. 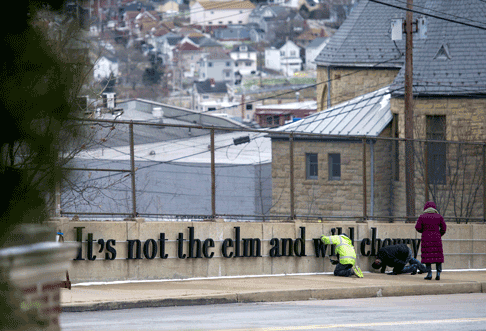 Every two weeks they are pushed manually along tracks on the bridge, removing one section from the front and adding one new section at the end, until an entire text is displayed gradually over a year. 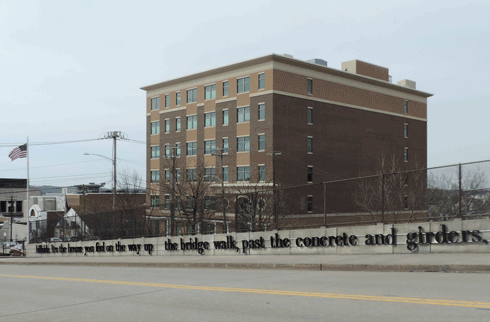 Ten writers from Western Pennsylvania were each commissioned to write a site-specific text for the bridge. 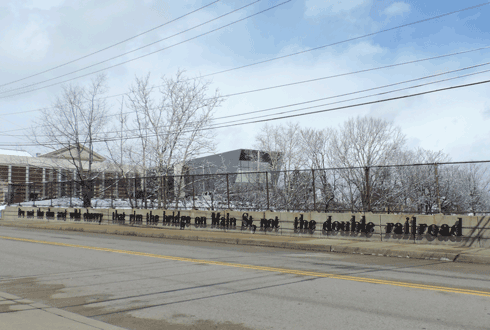 In successive years, each text will advance every two weeks, each scrolling along the bridge over the year. The entire ten texts will be scrolled over ten years. 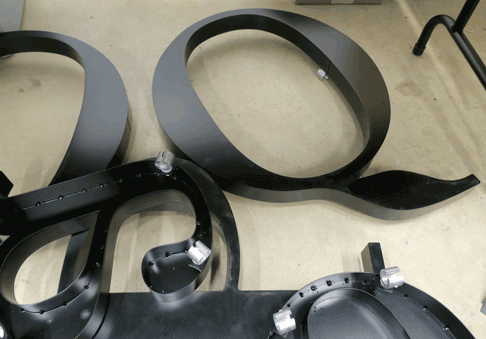 The letters are made of powder-coated aluminum and they slide along an aluminum track anchored in the bridge. 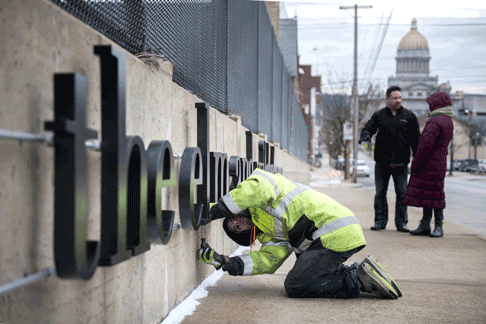 Each letter gets locked into place once in position. 300' X 2.5' X 3" powder coated and anodized aluminum.